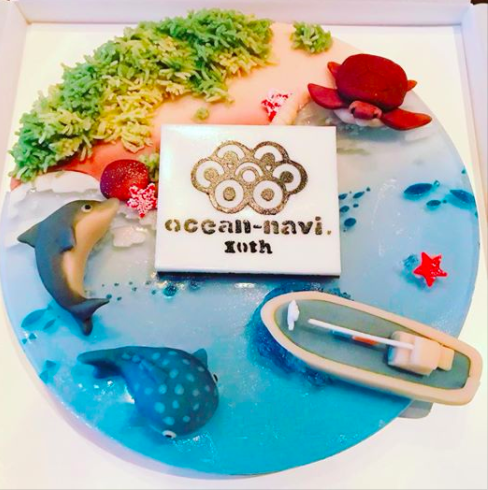 Japanese ocean swimmer, coach, official and administrator Masayuki Moriya founded Ocean Navi in Tokyo 10 years ago and celebrated the open water swimming service provider and event management company's anniversary with an appropriately decorated cake. In addition to early morning pool workouts in Tokyo, he also established Channel Swim Japan where he organizes solo and relay crossings of the Tsugaru Channel, Sado Channel and Enoshima-Jogashima Channel, offers triathlon and ocean swimming camps, clinics, swimming tours and holidays throughout Japan and islands in the Pacific Ocean. For more information on Ocean Navi, visit here.